Get out your party hats and chill the champagne — it’s time to close the chapter on 2018 and start fresh (hopefully with only a mild hangover) in 2019. 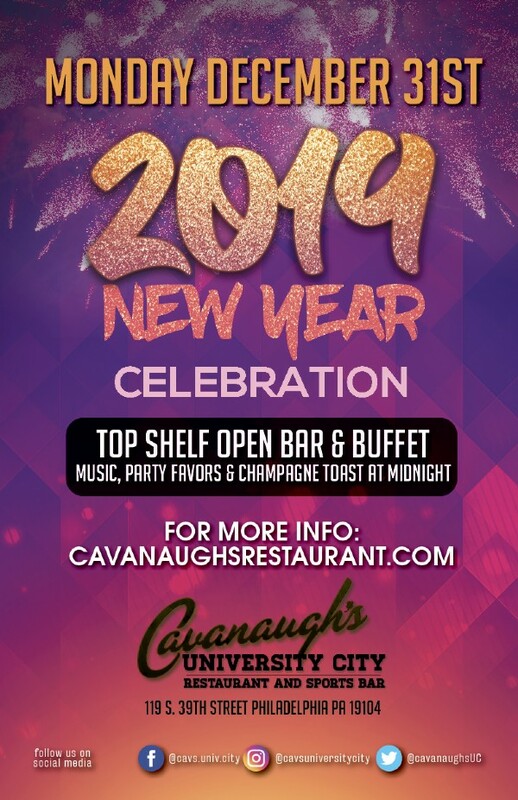 Let's bring 2018 to a close the right way - dancing, partying, open bars, and the hottest locals with the best DJ entertainment....Ring in the New Year with Cavanaugh's University City! -Music, Hats & Party Favors for all! Snag your tickets now - this absolutely WILL sell out!